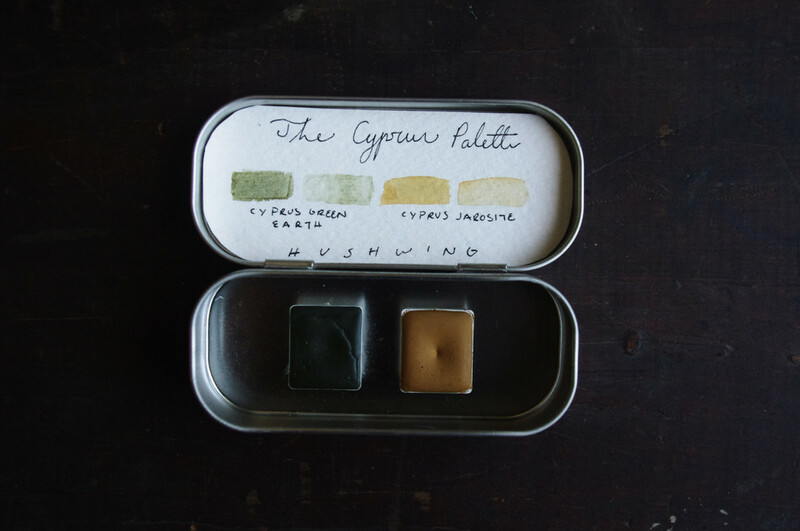 The Cyprus palette is made using two natural earth pigments originating in Cyprus. Both pigments are increasingly rare and are carefully sourced to be able to bring you these beautiful and historical colors. High in the mountains of Cyprus, far from tourist spots, one can find round, fist-sized rocks strewn among the olive groves and small ravines. Some of these gray-white rocks contain a light, pure, green color, with a core of a hard brown substance. The brown silicate is slowly weathering into a green earth in the hot, semi-arid climate. The green earth from Cyprus originated mainly in the Turkish part of the island, however political and judicial problems make the collection of the earth illegal. Only on the borders of the historical sources can a few rocks be found. A Grecian monastery commissioned the production of green earth from these stones, and they have supplied a small amount to be shared. Jarosite is a yellow lemon ocher pigment which creates the clearest yellow ocher occurring naturally, without the deeper tone of the French ochers. Because of the political situation of Cyprus the mining of this rare and beautiful earth has been neglected, but now a small amount of manual production is once again available. The Cyprian Jarosite has always been famous for it’s unique hue and exceptional clarity. 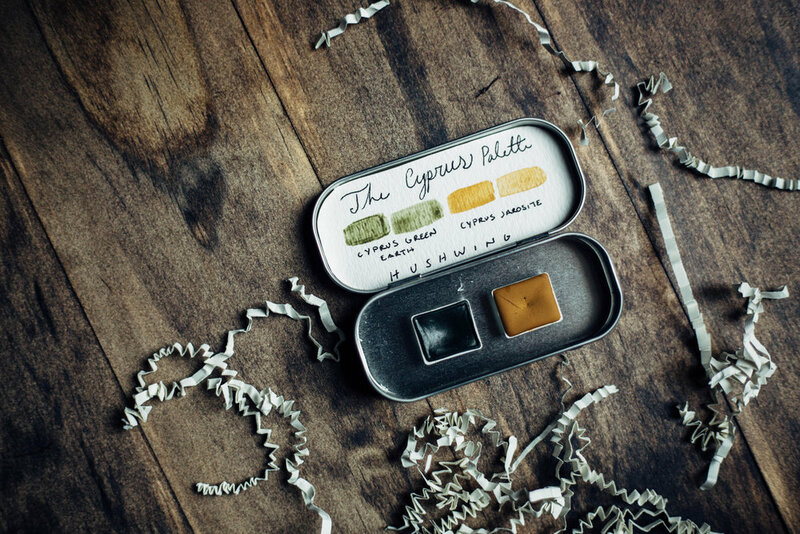 The Cyprus palette consists of 2 half-size pans of handmade, professional grade watercolor. All pigments receive a permanent lightfastness rating (8, on a scale of 1 to 8) and are non-toxic.